How do I calculate the value of pain and suffering in a personal injury case? This is one of the most common questions I get asked as a personal injury attorney. 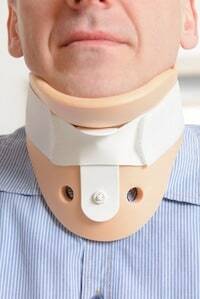 If you have suffered an injury because of the negligence of another person or entity in California, you normally are able to pursue compensation from the defendant’s insurance company. In order to recover damages, you will need to be able to prove that the defendant is at fault. You will then need to prove that you suffered financial losses. California law grants people who have been injured because of the negligence of others the right to recover damages for both their economic and noneconomic losses. Your economic losses are normally straightforward since they include such things as your medical expenses and income losses. It may be more difficult for you to prove your noneconomic losses, however. An experienced Los Angeles personal injury attorney may help you to calculate the damages that you have suffered because of your pain and suffering and then help you to recover them. Your pain and suffering damages are losses that you have suffered that are more intangible, making them more difficult to calculate. California Civil Jury Instruction 3905A indicates that there is not a set standard for the calculation of pain and suffering damages in the state. Juries are instructed to use their common sense to determine reasonable amounts that are based on the evidence. This makes it vital for you to present clear, easily understandable evidence of the pain and suffering that you have suffered. When will an insurance company pay compensation for pain and suffering? When the other party was clearly liable, most insurance companies will pay at least some amount of compensation for the pain and suffering that the victims suffered. However, insurance companies often attempt to get away with paying unreasonably low amounts for pain and suffering. When you have the help of an experienced personal injury lawyer, the amount is likelier to be increased to one that is reasonable. Your lawyer will calculate the value of your claim in order to negotiate with the insurance company for a reasonable settlement amount. He or she may use a formula to arrive at a reasonable value. Take the past and future medical bills times a multiplier plus the total of your economic damages to arrive at the reasonable value of your case. The multiplier that may be used will be a number ranging from 1.5 and 5. Your attorney will choose the multiplier based on the severity of your injuries. It is common for plaintiffs and insurance companies to have different views on how high or how low of a multiplier to use. Often, the plaintiffs begin with multipliers that are a little high while the insurance companies start with multipliers that are too low. Your attorney may also use a type of calculation called the per diem method. This involves using a daily dollar amount from the day of the accident until the time that the plaintiff reaches his or her maximal medical improvement. Under this method, the amount chosen is a reasonable amount such as $100 per day. That amount is then multiplied by the number of days between the date of your injury and the date that you reach maximum improvement. The job description method of calculating pain and suffering damages is less commonly used. Under this method, your pain and suffering would be written down in a similar way as a job description. For example, if you were confined to a wheelchair for six months, you would figure out how much an average person would require being paid in order to remain in a wheelchair for that amount of time. There are many different ways that attorneys and insurance companies calculate pain and suffering damages. However, the court and the jury must agree with the way in which the amount was calculated. In major personal injury cases, focus groups are often used. Your personal injury lawyer may advise you of the calculation method that he or she will use to calculate a reasonable amount in your case. These are certainly not all the methods attorneys use to value pain and suffering damages but, it gives you some idea of how this is analyzed. In general, your total damages (including pain and suffering) will be limited by the policy limits of the defendant’s insurance policy. If the defendant in your case has a policy limit for bodily injury of $50,000, you will likely be limited to that amount. This is because all insurance companies require a complete release of their insured in exchange for payment of the policy limit. However, there are exceptions such as requiring some personal contribution from the insured or when there are additional insurance policies available. One common example is an “umbrella” policy that may provide additional coverage (usually up to $1 million). California law also provides a method for potentially requiring the insurance company to pay a judgment in excess of their limit if a reasonable policy limit demand was made and rejected by the insurance carrier. (See prior discussion here). Which method will be used to calculate your pain and suffering damages? The insurance company or companies in your case do not have to use any of the outlined methods to calculate your pain and suffering damages. It is common for insurance companies to use computer programs to determine the amounts that they will offer. These algorithms take multiple factors into account. They might also rely on past amounts that they have paid in other cases as a reason to offer a lower amount to you. How will your attorney present your pain and suffering at trial? In order for you to recover fair compensation for your injuries, it is vital for your attorney to present strong evidence of your pain and suffering damages. This makes it highly important for you to open up about how your injuries impact your life and the severity of them. You should not hold back out of a fear that you will be viewed as a complainer. Your lawyer understands the overwhelming impact that injuries may have, and they do not view people who talk about their injuries as being complainers. Take some time to think about all of the ways that your injury has affected you, and write them down. Avoid leaving things out simply because you think that they might be viewed as small. For example, if you love tennis and your injury prevents you from playing it, write it down. Your lawyer may offer a range to the jury in order to help it reach its ultimate decision. He or she may also call several witnesses to the stand to help the jury to understand how your injury has impacted your life. Your lawyer will only be able to present examples of the losses that you have suffered if you give him or her the information. You should be prepared to give examples that are real and that come from your life. How can an attorney increase the amount awarded for pain and suffering? Defense lawyers often attack before-and-after witnesses who are your blood relatives as being inherently biased. This means that having witnesses who do not have personal stakes in the outcome of your case is important. You may want to consider co-workers and acquaintances who see you almost daily and who can give their knowledge about how your injury has impacted you. If you have been injured in an accident that was caused by the negligent actions of others, it is important that you talk to an experienced personal injury attorney in Los Angeles. We review every case and analyze all of the factors that may impact the value. Contact us today to schedule your consultation so that you can learn more about what your case might be worth.